This year the Last Night A DJ Saved My Life Foundation are grouping together with Peace One Day to help raise awareness within the Global Dance Music Community. They will be doing this by reaching out to over 800 DJ’s, asking them to share and engage with their fans through social media, spreading the word of Peace One Day. 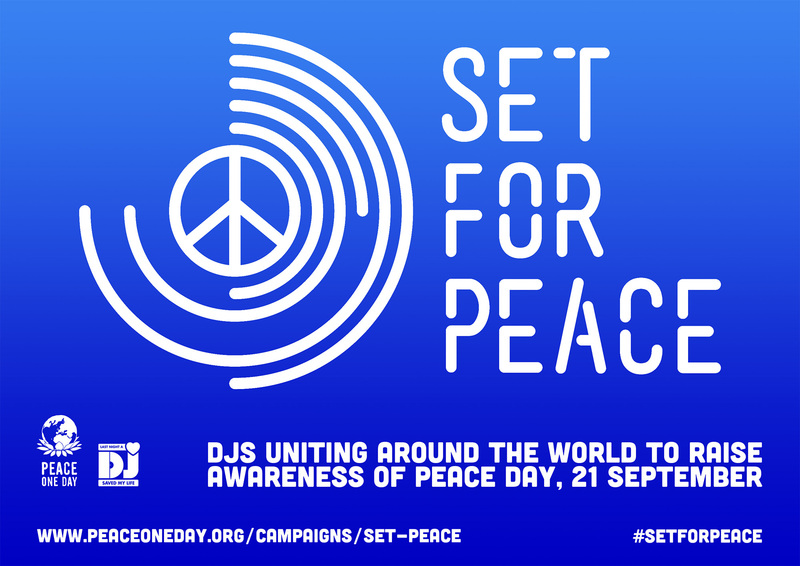 Also dedicating sets on or around the 21st September, which is Peace Day and spreading the word by using the hashtag, #SetForPeaceDay. If you want to get involved you just need to go to the website which will give you all the information to sign up and show you support.